Pink Lemonade : Nanny Returns! So happy the sequel is finally out! 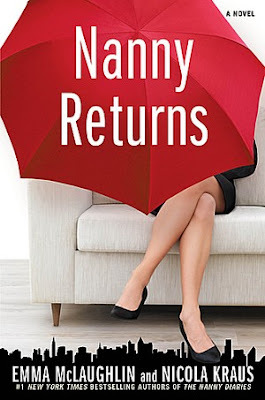 I really enjoyed the Nanny Diaries the first time around ( it was one of the books that inspired me to write a novel) and the reviews for Nanny Returns are great. Apparently the children Nanny cared for in the first novel are back as teenagers and need her help in dealing with the parents! This looks like a very good read. I will order the book asap! Ooh yay! I didn't know there was even a second book!